Everyone worries about their wisdom teeth from time to time. What about you? If you know you’ve got a couple of wisdom teeth already or have been told that they will come in, then you might worry about needing to get them pulled. Do you notice any spots of decay on your wisdom teeth? Those third molars are very hard to restore. If you have a cavity or two taking over, then there’s a good chance the tooth will just need to come out. If your wisdom teeth are constantly trapping bacteria and food debris, the gums around them could get painfully inflamed. The only way to keep your gums healthy may be to remove the teeth so that infection doesn’t spread. As third molars grow in, they may do so at an angle due to lack of space. This can result in pressure on the teeth in front of them, causing alignment issues. It’s actually very common for a dentist like Dr. Leppo to detect problems with wisdom teeth well before the patients notice that anything is wrong. This is one reason why dental x-rays are so important. Your wisdom teeth could require an extraction without your being aware of it. That’s why it’s so important to have your third molars evaluated at a well-equipped office like Columbia Dental Center. 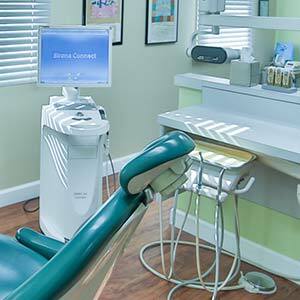 Dr. Leppo is the dentist of choice in Columbia for patients who have wisdom tooth pain. Contact our team today to schedule an exam if you suspect that your wisdom teeth may need to come out.